Backed by years of industry experience, we are engaged in offering a premium quality range of Mens Denim Shirts. 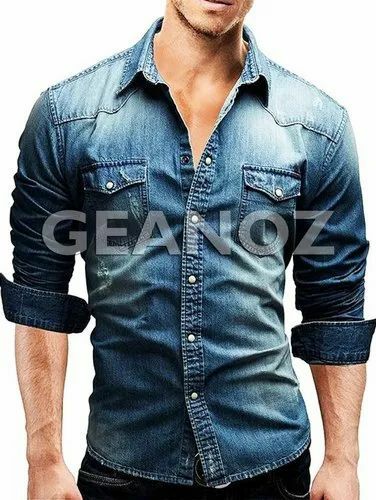 Established in the year 2016 at Chennai, Tamil Nadu, we “Vintage Denim Factory” are Partnership based firm, involved as the exporter, manufacturer, supplier, wholesaler of Cotton Jeans, Denim Stretch Jeans, Raw Jeans, Selvedge Jeans, Denim Shirts for Men and Women. Racing against time and evading competition, Vintage Denim Factory or simply VDF has been proudly lofting its brand towards a positive frontier in Jean and Denim manufacturing industries across the globe. Moreover, strict superiority checks are been approved by us over the entire assortment, to assure that our products are faultless and maintain the quality.